Our organization is counted amongst the most distinguished manufacturers and suppliers of high quality Platinum Wires. Without compromising with quality, we make sure that high quality platinum that is sourced from vendors of high repute after scouring the market. Customers can avail these from us at industry leading rates. Consistent innovation, coupled with an alert understanding of customer's needs & demands, makes us the most renowned firm of Platinum Rhodium Wire/( R, S, B type) thermocouple wires. We are engaged in offering high and fine quality Platinum Wires to our valuable clients. These Platinum Wires are made by using high grade of raw material and latest technology. 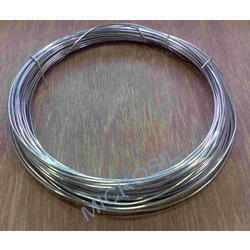 Our wires are available at reasonable price in the market. Fused in Glass rod. Complete with the test tube. EKI made from imported platinum wire. 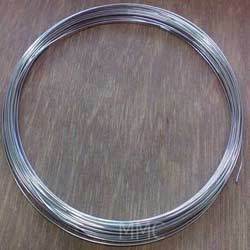 Platinum wire, fused with test tube. The Preethi 'Platinum' Mixer Grinder comes with stunning looks and amazing performance. This is the first ISI certified mixer grinder with 750 Watts motor in the country. Besides a two year guarantee, life long free service is offered to the customer. 'Platinum' has a powerful 750 Watts heavy duty motor that makes grinding faster and simpler. Clients can avail from us Platinum Wires with excellent finishing at nominal prices. The unbeatable quality of Platinum Wires offered by us has made a preferable choice among the clients based in different parts of the country. Also, we are one of the prestigious Platinum Wires Suppliers in the domain. The CP Stent™ is composed of 0.013" platinum / iridium wire that is arranged in a “zig pattern, laser welded a teach joint and over brazed with 24K gold. It allows expansion from 6.0 mm to 24.0 mm. The Covered CPStent™ is comprised of the Bare CP Stent that is covered with an expandable sleeve of ePTFE. Embrace Meditronics & Technologies Pvtl. Ltd.